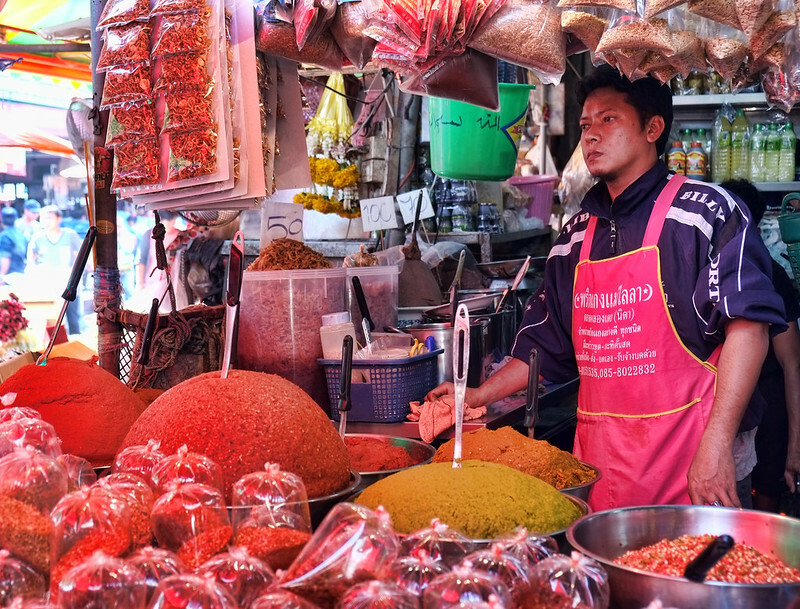 Here we are for week 232 (06/11/2015) of Travel Photo Thursday and a photo tour of Bangkok’s Klong Toey Fresh Market. I’ve been traveling in and out of Bangkok for years. Sometimes I stop for a few days, and other times I just breeze right through. Unusual for me, but this past Christmas found me in Bangkok. I did a fab cooking class, which I wrote about here. 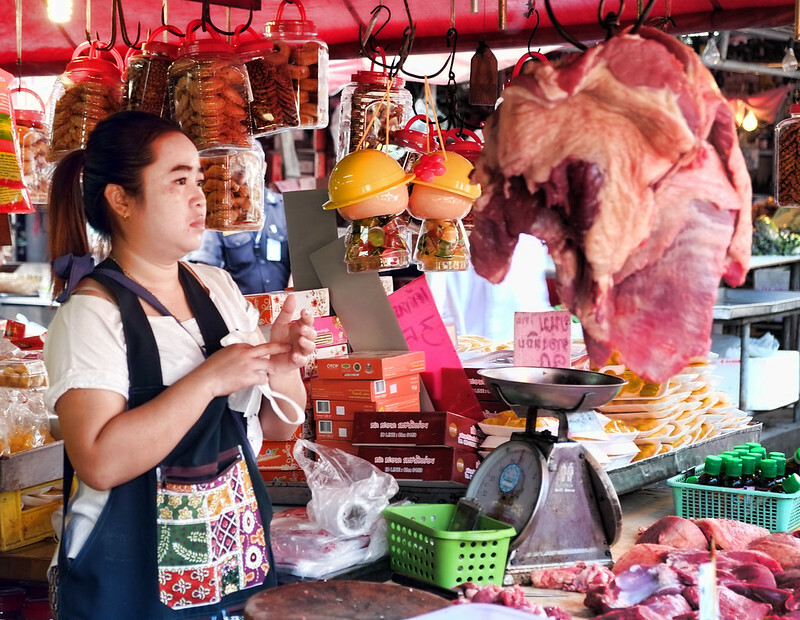 However, before we donned our aprons, we did a tour of the Klong Toey Fresh Market with Poo and her assistant. I’m not sure why I’ve never visited this market before and was thrilled to have the chance to wander through with my camera and an excellent guide. 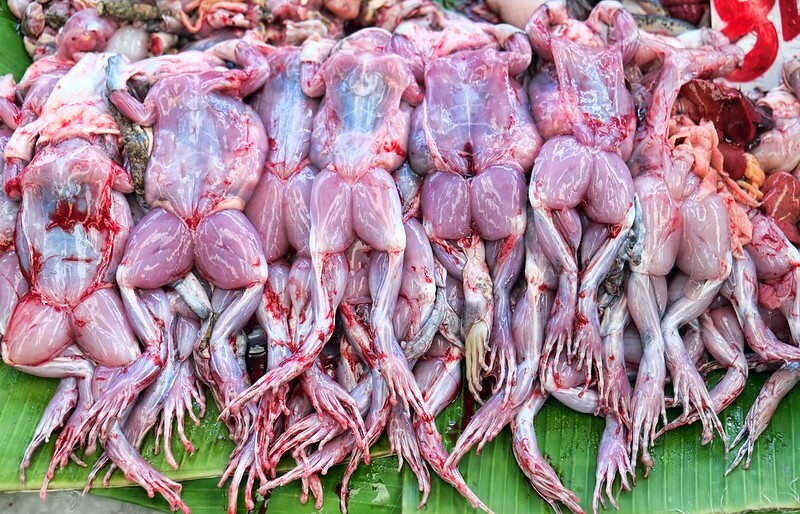 There is nothing that you don’t see at this market, and you may find that a couple of these shots leave you a tad squeamish. Don’t forget to comment and share your link! 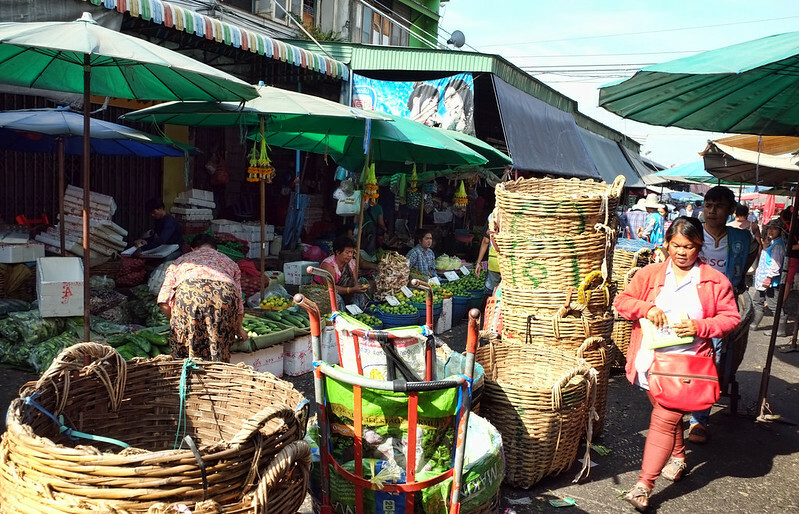 The Klong Toey Fresh Market is so large that it seems like a little village within Bangkok. 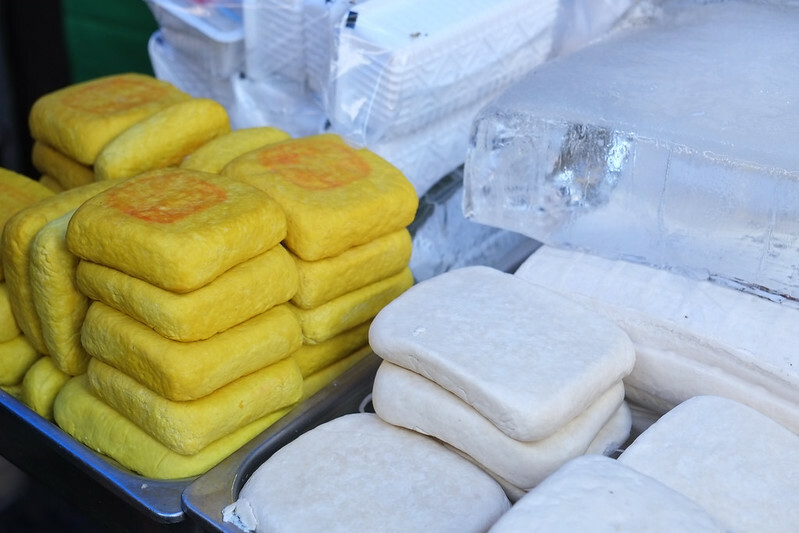 Remember, it is the largest wet market in the city! 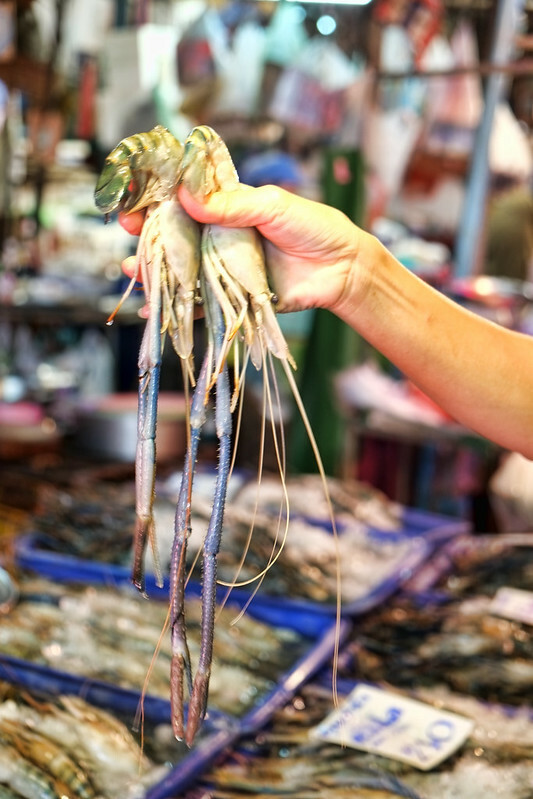 Anywhere you walk in the Klong Toey district you will end up at the market. There is absolutely no way you can miss it. 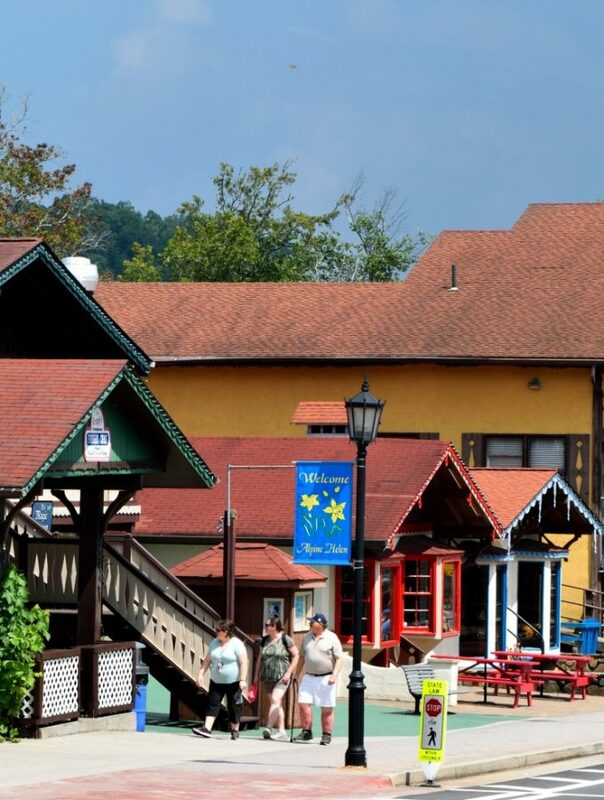 There is nothing you can’t find here; from fresh fruit and veggies to stationary and everything in between. Finally, the place is always packed with people. You’ll never be lonely here. This first shot is in the outside area. Restaurant owners/employees roll those big wicker baskets around filling them up with their daily purchases. Everything is fresh, fresh, fresh. Don’t get in their way because they are on a mission! Gulp! This was my first time seeing live bullfrogs for sale. These fellas were big! Of course, if you’d prefer you can purchase them ready for the fry pan or oven. I have eaten frog, and once was enough. The taste is pretty good (similar to chicken), but eating one of these critters makes my stomach flip just a little! 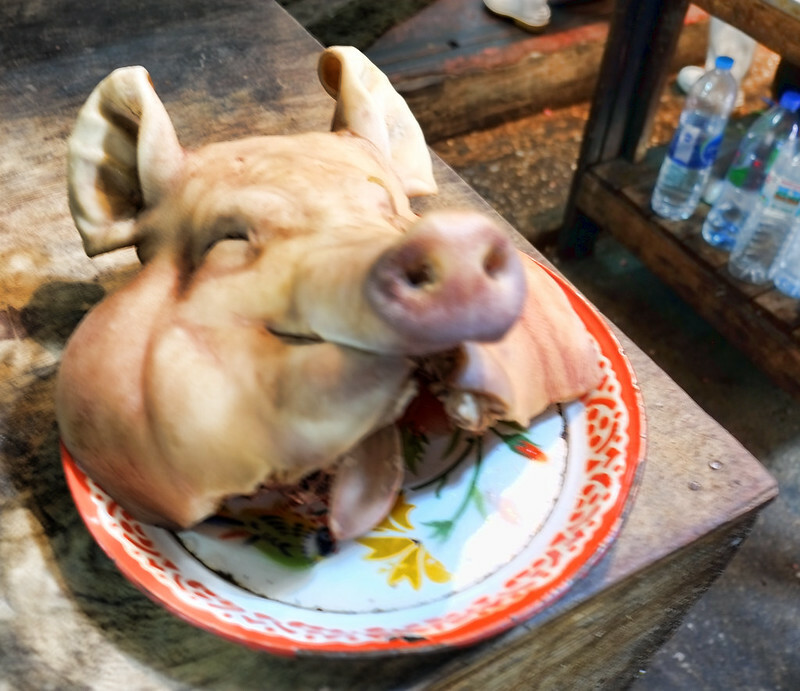 A fresh pig head is featured in most Asian ceremonies, so this was not a surprise. I often wonder what happens to it after the ceremony. 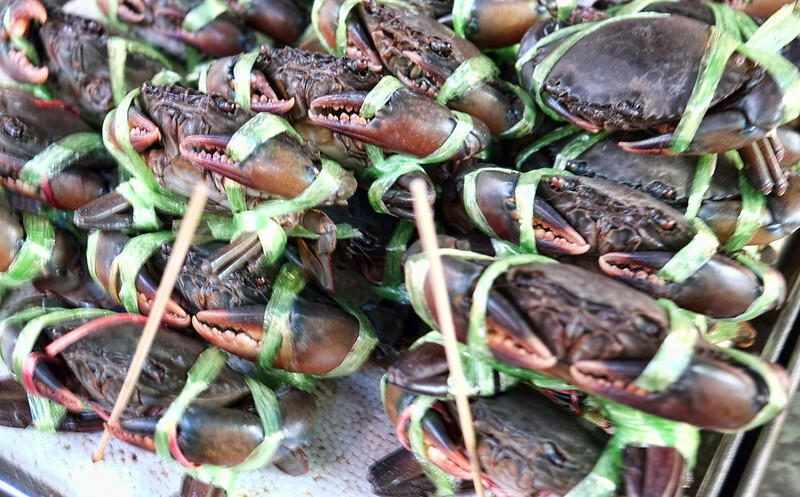 These crabs were swimming in the ocean just hours before they arrived, and are only one of many varieties on offer. 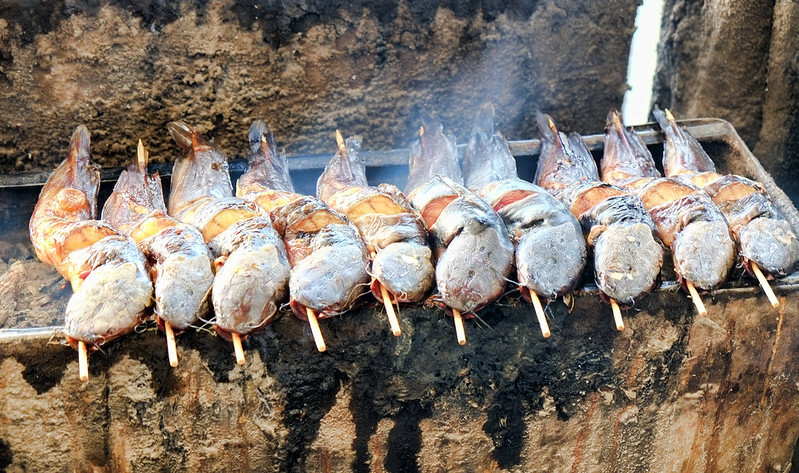 Koreans love seafood, so I can see them going a little crazy here! Cooking nicely, and they smelt delicious. I would sample one of these. 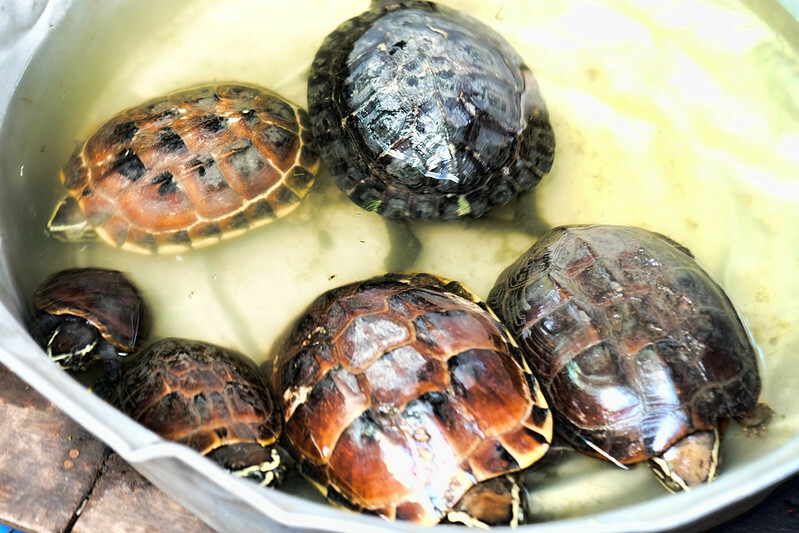 I have no idea what they do with the turtles! Lots of different varieties of prawn are available. These are one of my favourites. I’m making myself hungry! 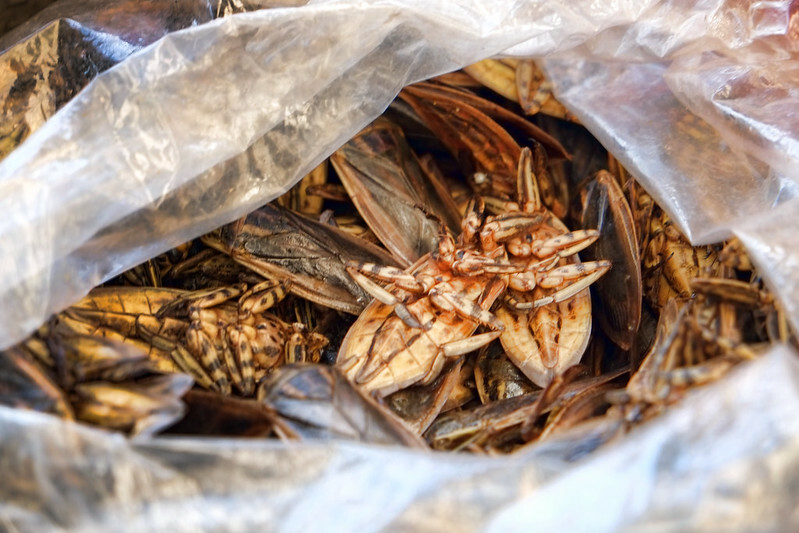 Bugs seem to be mandatory in any Asian market, and I draw the line at one of them getting into my mouth voluntarily! 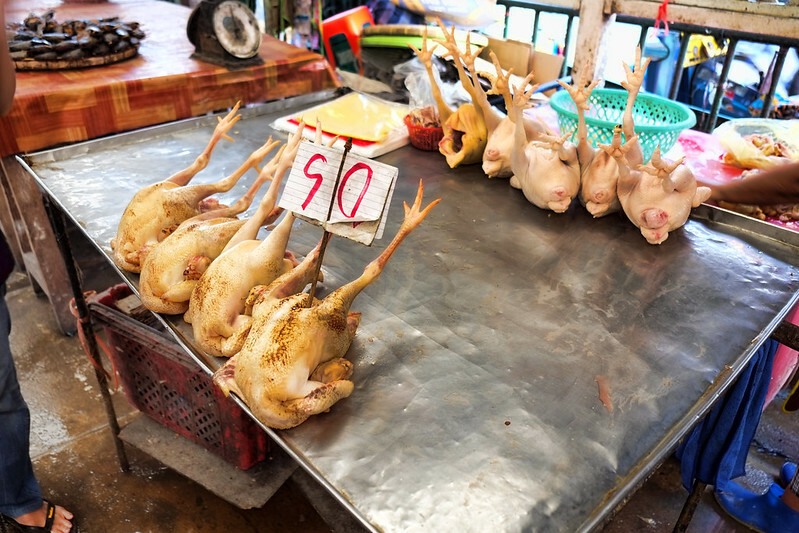 Chicken, raw or roasted, always come with the feet attached. Honestly, I can’t understand why anyone would eat the feet. They’re like gnawing on a hard bone. Lots of exotic fruit on offer. Passion fruit is one of my favourites. There is always freshly butchered meat hanging somewhere. 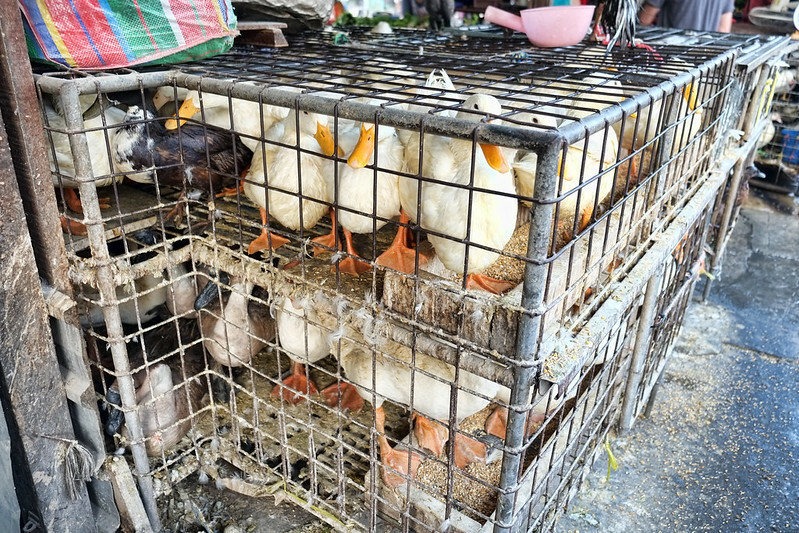 Duck is another Asian favourite, and they are often purchased live. I love bamboo shoots, but mine always comes from a can. I would like to cook with the fresh. I’m sure that every fresh herb known to man is available here. Finally, it wouldn’t be Thai market without the bird’s eye chillies. 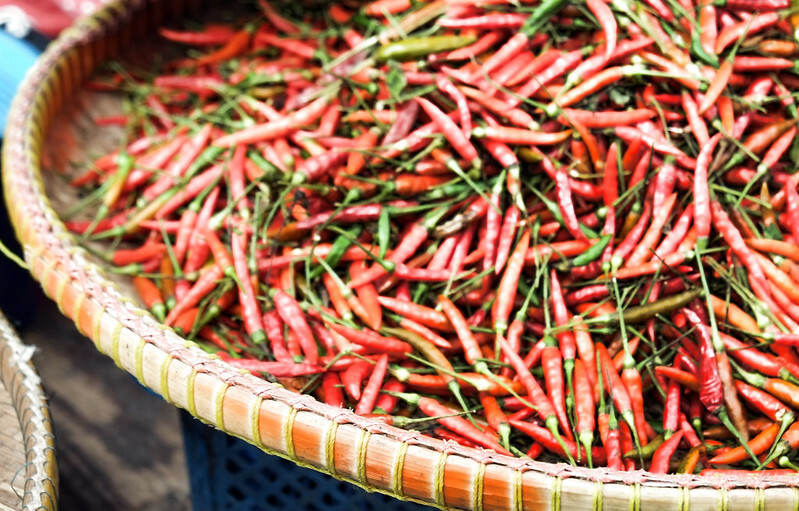 A staple in Thai cooking; be careful they are lethally hot… and oh so good! Just a small sample of the cookware on offer. I loved, loved this market and can’t wait to go back and do some more exploring. I want to buy some kitchen wares here. Everything is just so cheap! 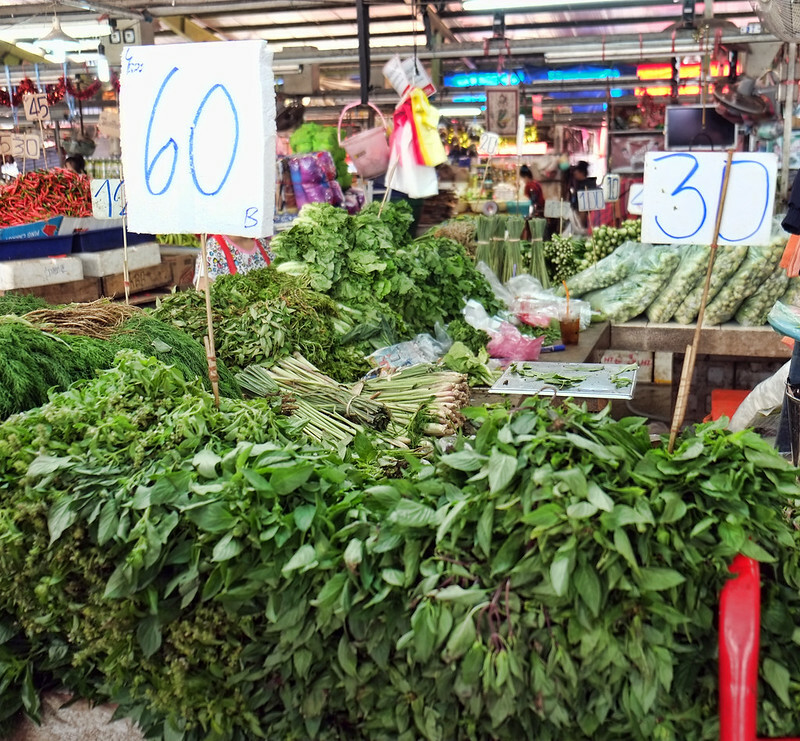 Have you been to the Klong Toey Fresh Market? What did you think? Open daily from 6:00 am to 2:00 am. When do the vendors ever sleep! To get there take the MRT subway to Klong Toey Station. Take the escalators up, and then walk east on Thang Rakfaiko/Rama IV Road for about 10 minutes until you reach the intersection of Rama IV and Narong Road. The market is on your right-hand side. Buses 45, 46, 72, 102, or 107 will also get you here. This is the 232nd edition of Travel Photo Thursday. You can browse the archives here. Linking up this week to Weekend Travel Inspirations. Hi Lili. I even buy them here in Korea. They’re imported from Vietnam, so quite expensive. However, they are worth every penny! So, so different from the markets here in the US. Looks really fun to stroll around and capture all the sights and sounds. Those frogs are gross! And I agree I have a hard time accepting the idea of eating bugs but apparently we should try harder as they’re the food of the future, full of protein, so they say! It’s funny really as some bugs look no worse than some shrimps and other sea monsters but we’re conditioned to think they’re gross because they’re bugs and not sought-after seafood. 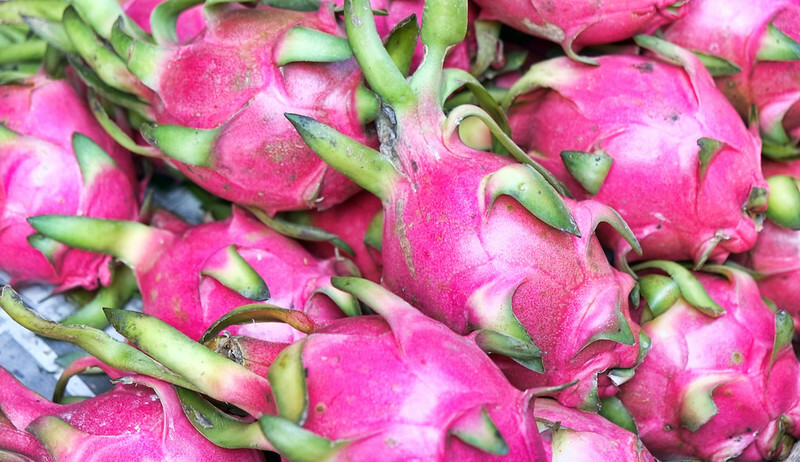 I love markets anywhere in the world but there’s something very special about Asian markets with all the live animals and exotic spices/fruits etc. Hi Phoebe. Agree! I really don’t want to see one of those on my plate anytime soon. We are definitely conditioned to find some food acceptable and others just gross or weird! I loved Bangkok! And I love markets. Hi Jackie. Bangkok is one of my favorite cities, too. Hi Sonja. Well if we’re ever in Bangkok at the same time, I’d be happy to grab a meal! Ah memories! How I enjoyed all the visits I made to markets in Thailand. To be honest, some of your photos remind me more of a market I visited in Myanmar. The guide kept talking about the “wildlife” market and I was intrigued about it. When we arrived, they were selling deer, beaver, rat and even dog meat (the entire animal, half animal in case of the deer). That was the “wildlife” she was referring to. Wet markets are so fascinating. I am not sure about some of the produce….but still so many interesting sights, smells and sounds. And to take photos of real life. Always a great place to visit. Happy travels and thank you for the link up. I didn’t know you wrote a blog on your travels. This is the kind of stuff I like to read. I’ll be a regular from now on. I love an Asian market. I love a European market. I just love markets! Great shots! 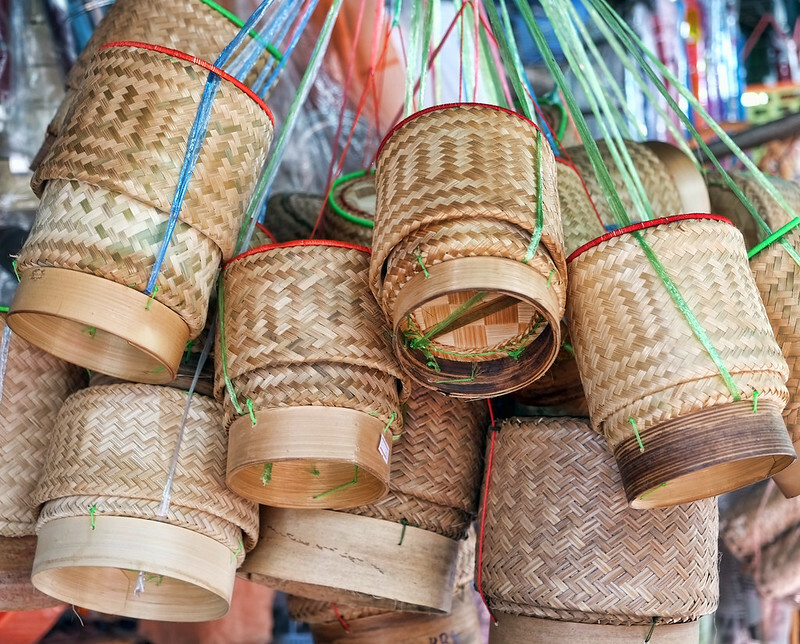 I haven’t been to these markets, but they are very similar to the ones I visited in Hoi An in Vietnam. By the time I had wound my way through them I felt sick! 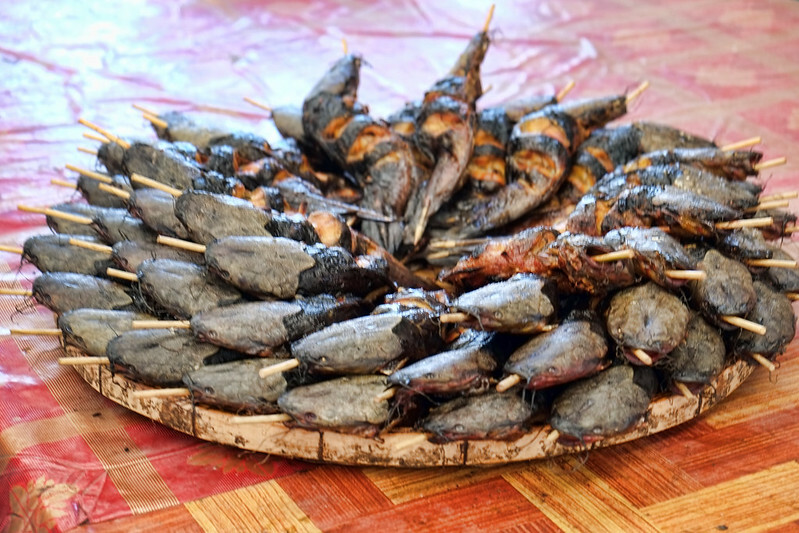 I couldn’t get over the selection of bugs – Eww! Also they had dog meat which was very confronting. But otherwise your photos are wonderful and certainly show the colour and variety of the markets. Oh such fabulous photos of such amazing culinary items. I am not one to get too excited over seeing live creatures just waiting to become someone’s dinner but I certainly enjoyed your photos today! How I miss Asian wet markets. I think one of the first ones I ever visited was in Bangkok back in the 90s, but I don’t remember if it was this one. It made such an impression on me, coming from America. Who would guess that a few decades later, I would shop at one regularly. There were never fresh duck at the one in Malaysia, though. They had frogs which many many expat kids mistook to be pets for sale. I’ve been meaning to make Mango Sticky Rice and am on a mission to find one of those great bamboo steamers here in Texas. I love Thai markets. Those two big prawns certainly started me thinking of eating them. 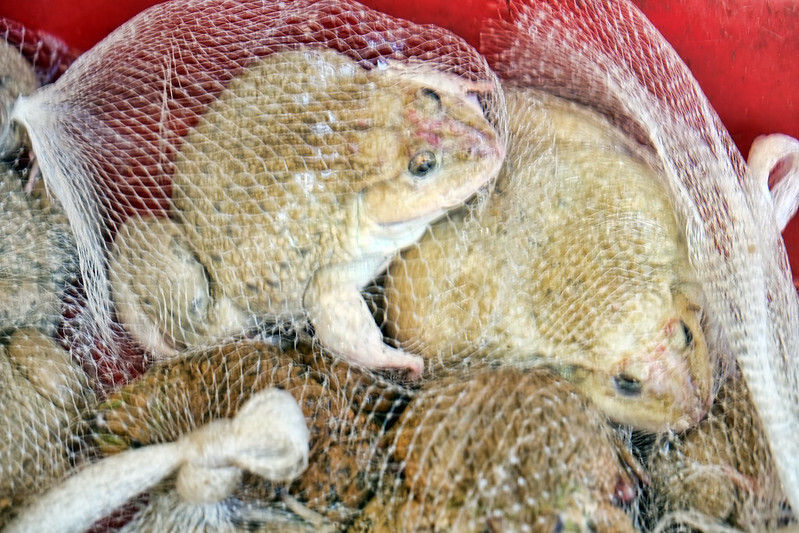 In Laos they keep the frogs in a round plastic tub at the market with a stretchy net over the top and the poor things jump up in an attempt to get out then land back in the tub. I don’t mind eating frog’s legs but eating the whole body was a little challenging. I would so love to buy the pre-prepared curry pastes – can you buy it like that in Korea?